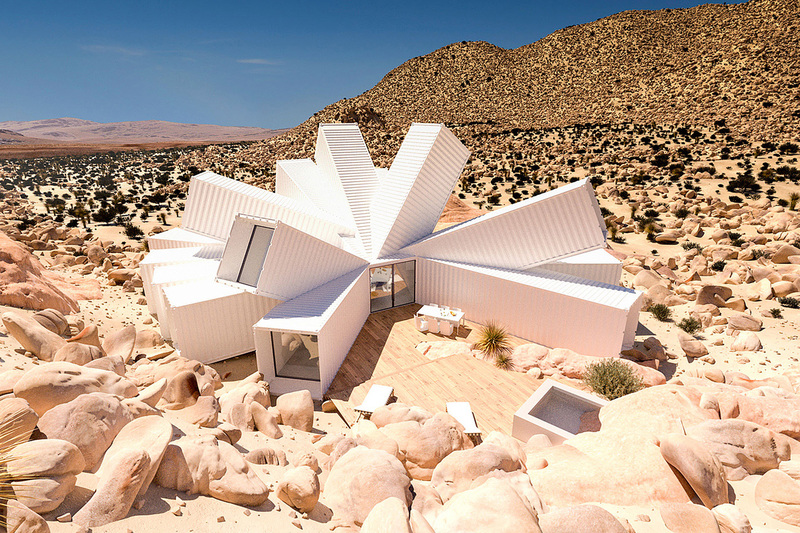 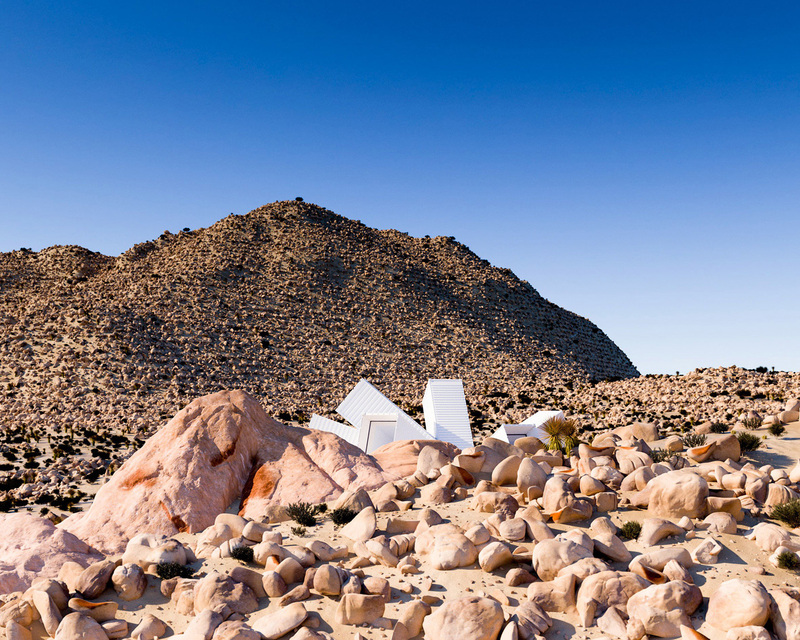 Photo-realistic renderings of the proposed home by the London-based designer James Whitaker show a cluster of white cargo containers emerging like a starburst from a rocky site. 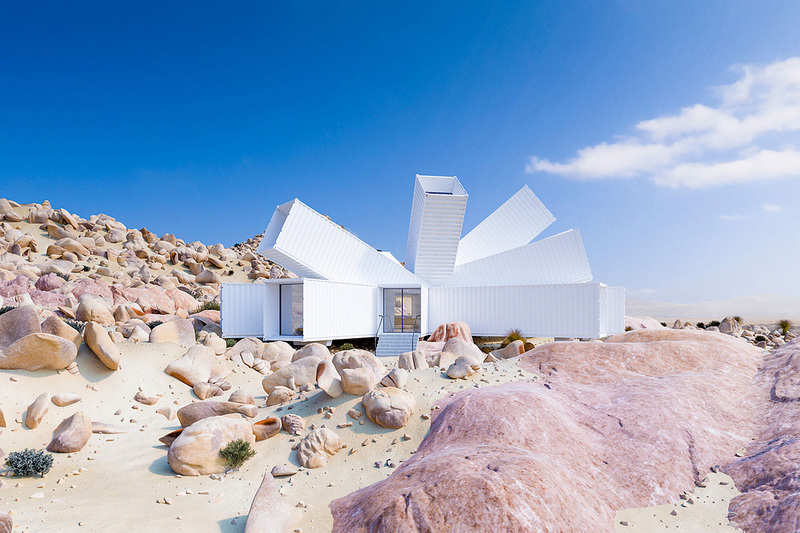 Work is scheduled to begin next year on the Joshua Tree Residence in the California desert, which was designed for a film producer and his wife, who live in Los Angeles. 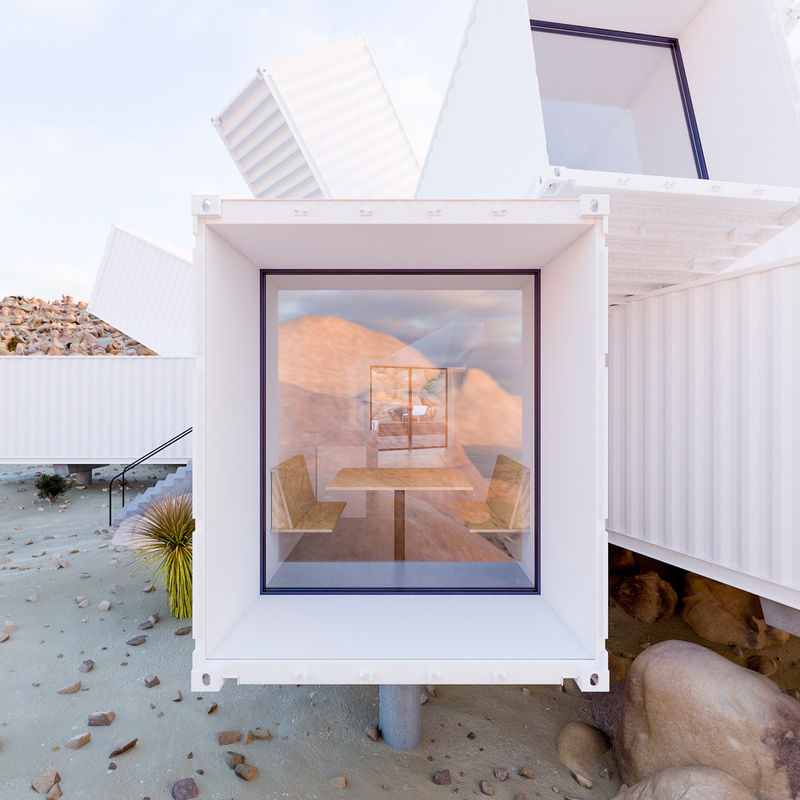 Each container is capped with a glazed panel and methodically placed in order to provide privacy, allow in natural light, and capture the best views. 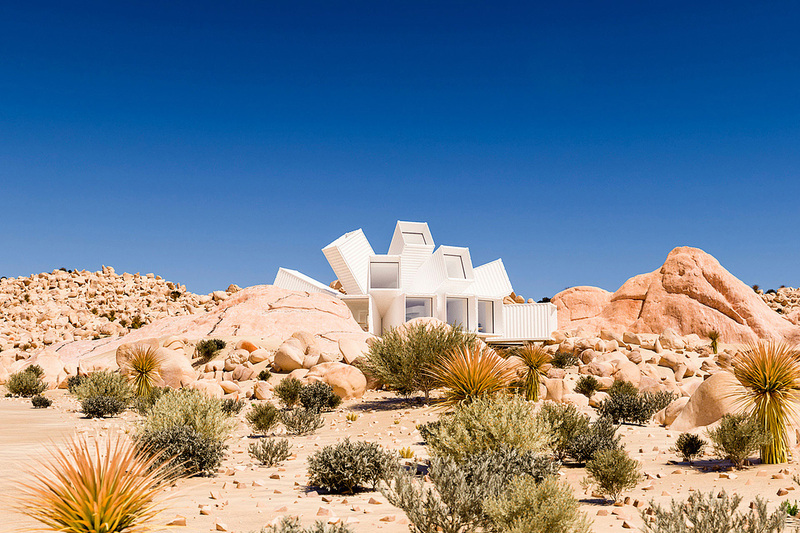 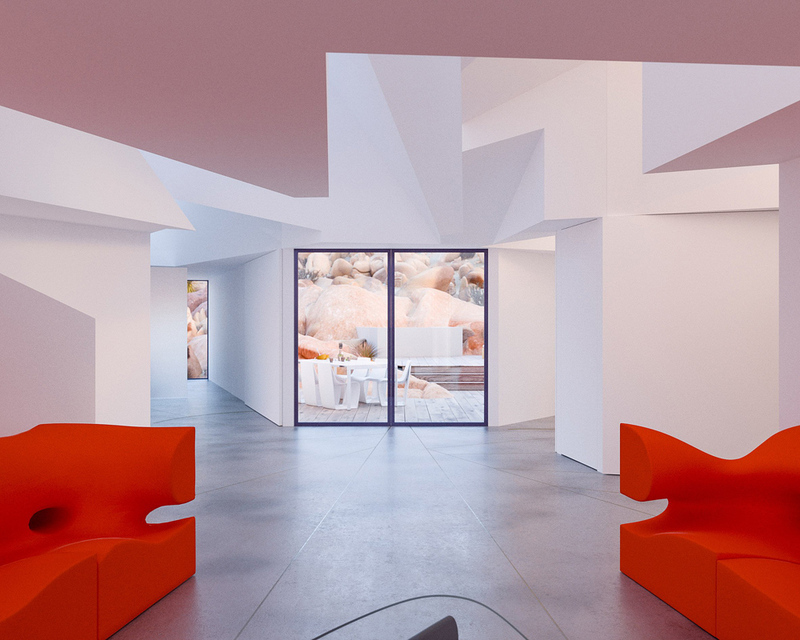 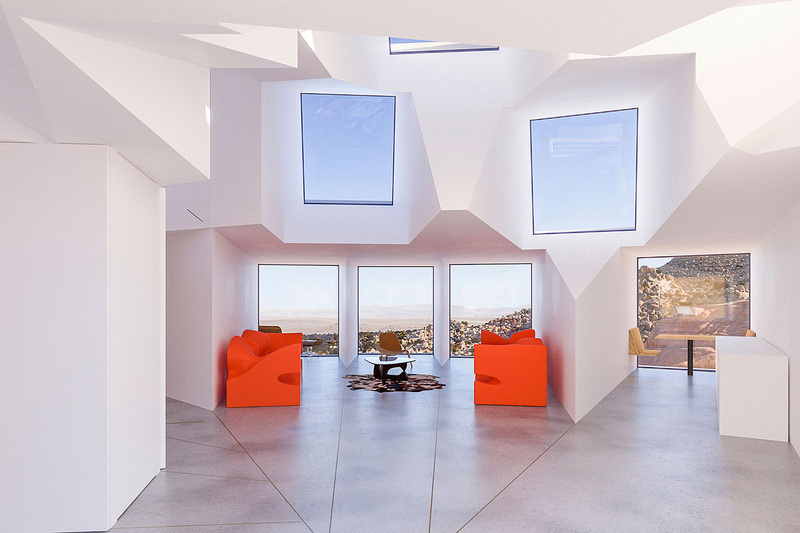 A fresh white exterior allows the forms to stand out from their sandy plot, while also reflecting the harsh desert sun. 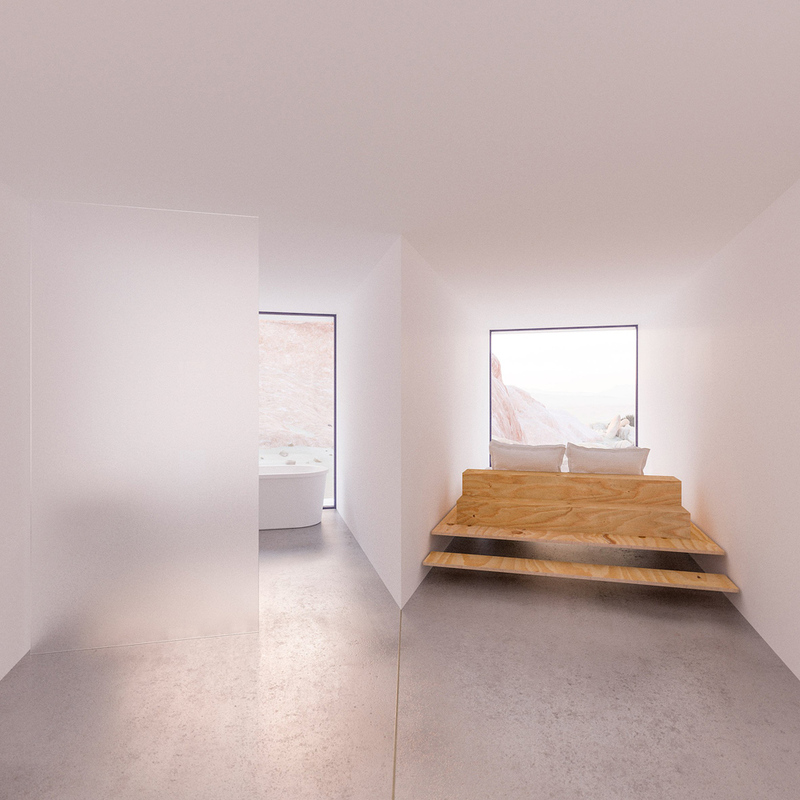 An open living area sits at the center of the bundle. 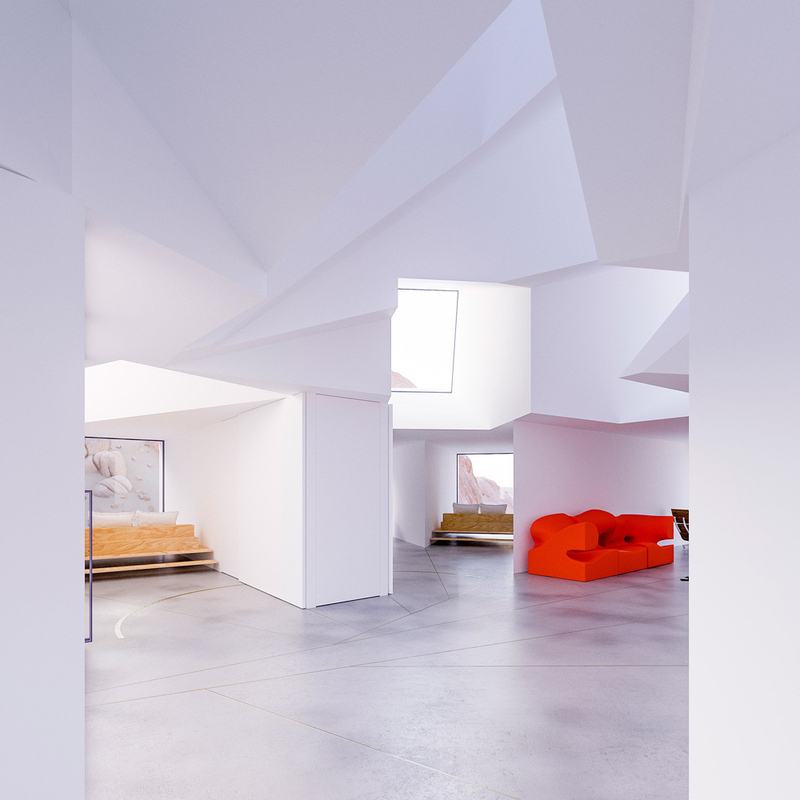 This space opens directly out to a wooden deck and private courtyard, created by a pair of angled volumes. 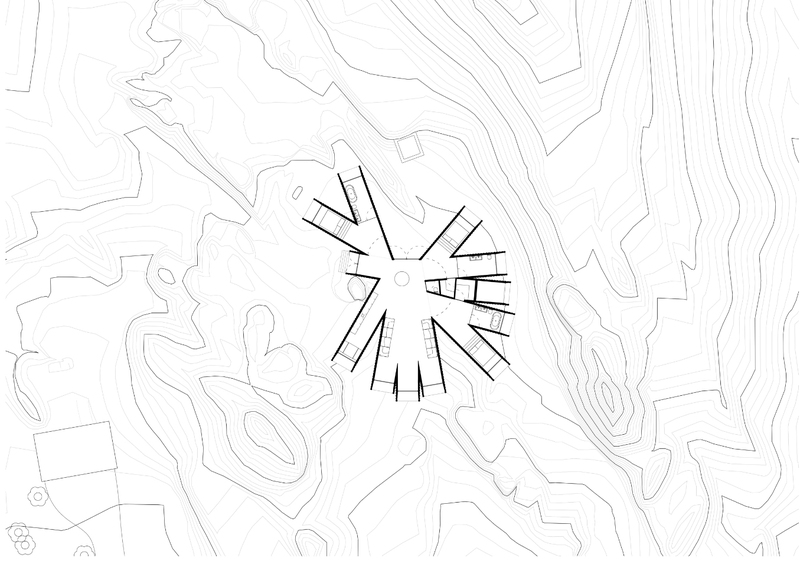 Just off the home is a carport with a canopy of solar panels, which will generate electricity for the dwelling. 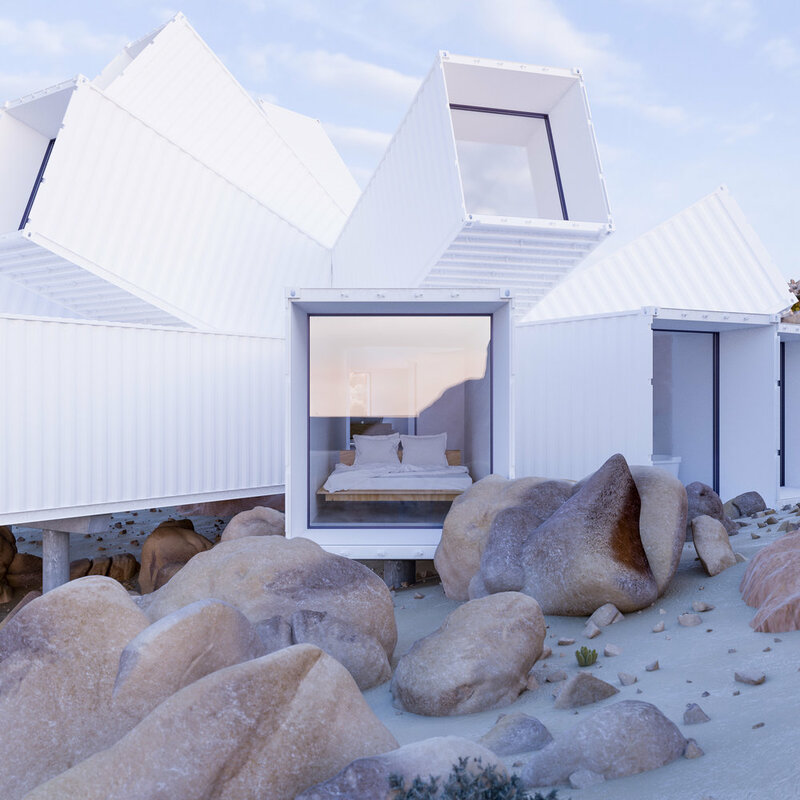 The scheme also includes a large wooden deck that merges with the rocky hillside.